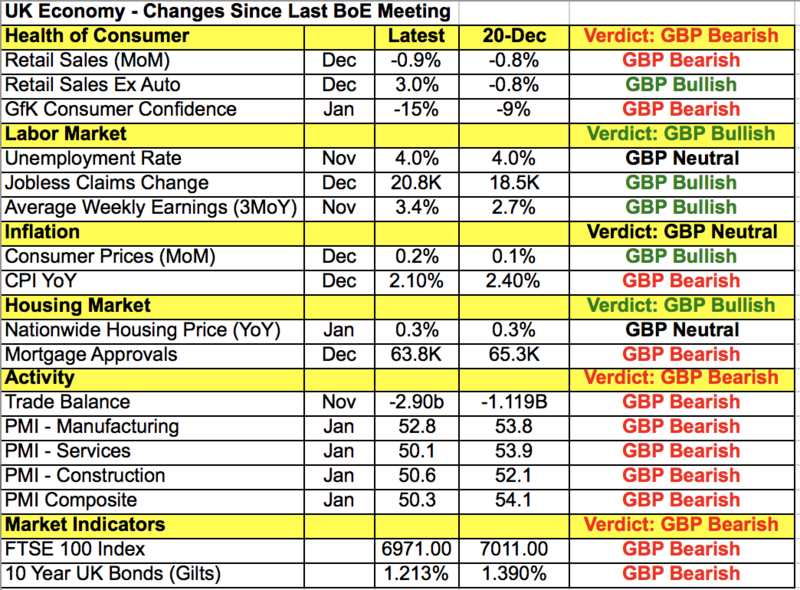 Home / BK Asset Management / AUD and NZD Crushed, Will GBP Follow on BoE? AUD and NZD Crushed, Will GBP Follow on BoE? There were no US economic reports released today but the dollar extended its gains many major currencies. We are still seeing a lingering affect from last week’s nonfarm payrolls report as the strong releases contrast with weakness and cautionary comments abroad. The Australian dollar was the biggest loser, dropping more than 1.6%. This was the largest decline in more than a year and paves the way for further losses in the currency. After a relatively benign monetary policy statement, Reserve Bank of Australia Governor Lowe surprised investors when he said the interest rate outlook is now more evenly balanced. He added that global risks and domestic housing market consumption requires the central bank to have the budget to respond to any downturn. In doing so, he has not only ruled out a 2019 rate hike but also fueled modest expectations for easing. With retail sales falling, service and construction activity contracting, the RBA’s cautious outlook solidified the top in AUD. Technically, AUD/USD has broken below the 20, 50 and 100-day simple moving averages and by ending the day at its low, the next stop should be 70 cents. Today was also the single worst day for the New Zealand dollar in more than a year. NZD had been following AUD but lost 60 pips in a matter of seconds following a significantly weaker than expected employment report. Economists had been looking for the unemployment rate to rise from 3.9% to 4.1% but instead it rose to 4.3% from an upwardly revised 4% reading. Employment increased less than expected and the participation rate declined in Q4. Average hourly earnings growth also slowed to 1% from 1.4%. Although dairy prices rebounded today, this report validates the central bank’s decision to keep interest rates on hold for the foreseeable future. The focus shifts to sterling tomorrow with a Bank of England meeting and Quarterly Inflation report scheduled for release. Brexit uncertainty will be a serious problem for the central bank. With less than 60 days before the UK exits the European Union, we are no closer to a deal than a year ago. The fate of sterling, the economy and millions of EU and UK citizens rests on whether the European Union agrees to open the withdrawal agreement for renegotiation and so far, they are saying no. Theresa May will be in Brussels on Thursday asking the EU to amend the terms and if they refuse to budge, the risk of a no deal Brexit increases significantly. Tomorrow, Governor Mark Carney will reiterate his warning about the risks of a disorderly Brexit and reassure investors that they are ready to increase stimulus if it causes a major disruption in the markets. When the central bank last met in December, they said Brexit risks intensified significantly. Earlier this month, Carney said future rate hikes would be limited and gradual. The BoE won’t even consider changing interest rates until the terms to leaving the EU becomes clear. If Article 50 is extended by a few months or to the end of the year, they will stand pat until the government settles on a solution and for this reason, the outcome of the meeting should be sterling negative. The performance of the economy allows for patience as weaker service and manufacturing activity is offset by a strong labor market and wage gains. Dovish comments from Carney could send GBP/USD below 1.28.